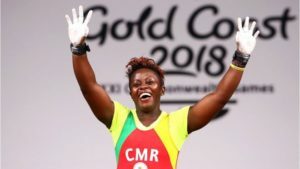 Seven Cameroonian athletes have fled from their accommodation at the Commonwealth Games in Australia, team officials said on Wednesday. The missing weightlifters and boxers were last seen at different times on Monday and Tuesday, Press attaché Simon Molombe said. The officials said they viewed the disappearance of the athletes as “desertion” and that they had been reported to Australian police. Weightlifters Olivier Matam Matam, Arcangeline Fouodji Sonkbou and Petit Minkoumba, and boxers Christian Ndzie Tsoye, Simplice Fotsala, Arsene Fokou, Ulrich Yombo and Christelle Ndiang are the missing athletes. Their visas are valid until May 15. The Commonwealth Games Federation said it would monitor the situation but athletes had “the right to travel freely” on their visas. Prominent barrister Julian Burnside said the athletes’ visas could in theory include terms that they have to be present at the Games Village every day. The reason for their disappearance is not known, amid some reports that they wanted to stay in Australia for economic reasons. The Cameroonian athletes could apply for asylum in Australia but they would risk a lengthy stay in detention if Border Force canceled their existing visas, Burnside said. In 2012, seven Cameroonian athletes disappeared in the same condition while in London for the Olympics. Posted by Geraldine Boechat on April 12, 2018. Filed under News. You can follow any responses to this entry through the RSS 2.0. Both comments and pings are currently closed.